After watching the Avenger's movie i've come to love the relationship developed between the characters of the Black Widow and Hawkeye. This group accepts all sorts of deviants from fanfiction to fanart, please send it! Join if you feel the same way about the Black Widow and Hawkeye together! Christmas Together“What’re you planning to do for Christmas, Nat?” Clint dropped onto the sofa beside her, distracting her from the pages of the novel in her hand. It was something Russian, the characters on the cover told him that much, but he was still new to learning the language and the translation of the three words surpassed his knowledge. He had an inkling that one word meant ‘lost’, exactly how he felt whenever she persuaded him to give such a book a try. “Well I don’t have family, and you know you’re the best friend I have.” He smiled. New Year's Eve Together“Tasha, you got a minute?” Clint leant onto the kitchen island, peering across at her. “Their loss is my gain.” He smiled. “We both have the time off, so just let me finish.” He pulled a stool towards him and settled onto it, silent. “I did some research, just a little, and I found… I think I found a photo of you when you were younger.” Her brow tensed, but before it could crease fully, he cut in. “No. Clintasha/Steggy Double Date the Movie“What about Ashton from logistics?” The redhead said as she firmly gripped on the handle of the Quinjet flying through the dark, foggy sky. She eased the Shield plane up to a comfortable altitude and switched on auto pilot. “I told you Natasha I just don’t feel comfortable getting back into...well… dating,” The super soldier replied as he took his shield from his back and walked over to the plane’s drop off zone. Unamused she replied, “This is about your love life Steve not mine.” Changing the subject Natasha alerted him that they were only minutes away from the drop zone. Hey guys! Excuse the long absence! I'm trying to revamp this group in a way. Hopefully you guys will be getting more Clintasha art sent to you guys at least weekly! In the mean time, get pumped guys! For those of you who follow up on Marvel pretty closely you are sure to already know about this. 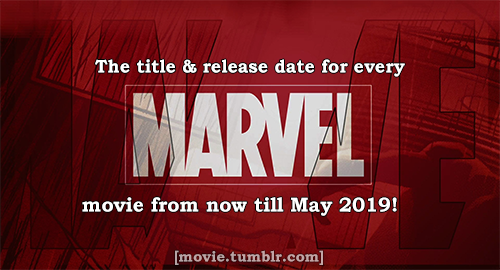 But Marvel released their movie line up for the next 5 years! The next 5 flippin' years! Ridiculous right? Feel like I have to take better care of myself just so I can watch all these movies! #marveloverload! Anyways, this is the line up guys! I'm pretty excited and anxious at the same time. I've also heard rumors of a BlackWidow movie? Now this is more than likely just popular opinion since the Marvel fanbase is dying to see a Natasha bg story movie, but personally I'm not sure Marvel is going to. Besides Scar Jo has a new family member, not saying that she couldn't do it, but if she wanted to take some time off from major movie making to enjoy her life for a bit, I wouldn't blame her. But if she did want to make the movie, I'd also be stoked as hell! Thoughts? Opinions? Concerns? Thank you so much for accepting my work again, it means a ton to me! it's a total pleasure to receive such nice messages from our members! thank you so much for submitting! Thank you so much for accepting my art! It means bunches to me!